What Is a Good Conversion Rate (and Do I Need to Worry)? Note: This post was originally published in July 2016. We’ve updated it to reflect our new and improved analytics dashboard. Someone asked me that the other day. And I have to say, I was almost embarrassed by my reply. To non-marketers, “conversion rate” might sound like a pretty impressive bit of jargon. All those syllables. The suggestion of math. Clearly, a complex concept that only a seasoned digital marketer could fully master. Really, really basic. No special knowledge required—other than the details of what’s actually happening in your business. That’s a little bit of math, true. But it’s the kind of math that just about anyone can handle. Get your traffic numbers and the subscribers or customers that traffic produced, and you’re there. Once you’ve figured out how to track your conversion rate, a bigger question arises: is my conversion rate good? What even counts as a good conversion rate? And that’s a little more complicated if you want to get beyond a two-word answer: it depends. Some people who think a lot about conversion rate optimization will tell you that it doesn’t really matter whether your conversion rate is objectively “good”—that all that matters is for you to keep improving it. There’s merit in that philosophy. Sometimes, what you need most in the moment is to focus solely on your own business, apart from what anyone else is doing. On the other hand, there can be real benefits to taking a closer look at what constitutes a good conversion rate. Not obsessively. But at least once, so that you have a clearer view of your priorities and your position in the market. With that in mind, here are five essential factors that can help you make better sense of your own conversion rates. First, it’s important to get clear on both the numerator and the denominator of the equation above. 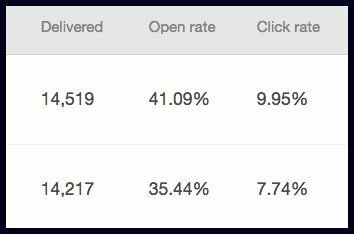 Those numbers shown are for opt-in forms, and they’re going to be different than the numbers you get for your landing pages … which are going to be different than the ones you get in your email service account. … and many other legs of the customer journey. When it comes to assessing your conversion rate, everything depends on where you define the start and end points of that leg of the journey. For instance, one of Leadpages’ tools, the text-to-opt-in numbers known as Leaddigits, boasts a 98% average conversion rate. It wouldn’t make sense to compare the conversion rate of your Leaddigit to the conversion rate of your landing page, and conclude that your landing page conversion rate isn’t high enough. For the same reason, you shouldn’t be dismayed when you take a longer view of the customer journey and find that your site visitor to customer conversion rate is barely clinging to the single digits. A 2% conversion rate on your free-download opt-in page is a sign that something, somewhere, is wrong with your marketing approach. But for large e-commerce sites with regular traffic, a 1–3% visitor-to-customer conversion rate is actually just fine—even great, depending on your industry. Which makes a difference on its own. Look at any compilation of conversion data across industries and you’ll notice that some kinds of businesses are just luckier than others. If you’re doing email marketing, it’s good to be a nonprofit organization and not so good to be in the vitamin business. If you’re selling products online, you’ll have better luck selling software than sporting goods. There’s no one all-encompassing source of conversion rate data for every industry. It’s worth doing a quick search for averages in your niche if only to give you a sense of what’s realistic. But if you can’t find that data, I’d recommend not sweating it. Industry averages hide a ton of variation from business to business. A brand new T-shirt company is likely to have different conversion rate patterns than a major department store’s site, which will have different conversion rates than a small but established clothing shop with a cult following. That’s because the average visitor to each of those sites is likely to arrive with a somewhat different set of habits, experiences, and motivations. How much do you and your audience know about each other? The more in sync you are with each other, the better you can expect your conversion rates to be. When you’re first starting to promote your business, you might not know how many people are out there who are interested in what you have to offer. You might need to focus on getting lots of traffic to an opt-in page and learning about your audience from there. Your conversion rate on that page might be pretty low as a result, but if you’re using the results to figure out what works and what kind of people you can best serve, you’re still growing and succeeding. At the other end of the spectrum, say you’re sending a sales email to everyone who attended your recent webinar. After that shared, live experience, you both know a lot about each other, so you could expect a high number of those attendees to convert into customers. Where those people are encountering you matters, too. In paid advertising, display ads tend to have much lower conversion rates than search-based ads, for instance. And whatever marketing channel you’re using, you’re almost certain to see lower sales conversion rates from smartphone users than from desktop visitors. Even if your audience is consuming content and researching purchases online, when it comes to actually making those purchases, more are still turning to their computers. This may sound strange, but a spike in your conversion rates can actually be a bad sign. Imagine that in May and June you made 35 sales from your product page … but in May that page got 200 visitors, while in June it only got 100. A look at your conversion rate alone would indicate you’re doing twice as well in June—whereas a look at the raw numbers reveals that you’re not doing better in financial terms at all. In fact, your growth has flatlined and you’re doing a far worse job getting people to your site in the first place. A situation like this is not at all uncommon in a growing business, and you can use changes in conversion rate in either direction to help you prioritize month by month. A major increase suggests it’s time to put more energy into getting traffic to your site, while a dip suggests you should focus on higher-quality traffic, higher-quality offers, or higher-quality marketing assets. You can move heaven and earth and piles of cash to boost your conversion rates … but if all that effort cost more than the revenue that boost generated, it wasn’t a good investment. Ultimately, a good conversion rate is the conversion rate rate your business needs to turn a profit. Of course, in many cases it is highly profitable to figure out ways to optimize your conversion rates. A one-time investment, whether of your own effort or of money spent on a new tool or a consultant’s fee, can keep paying off month after month if you keep using your optimized page. But be aware that endless conversion rate optimization can bring you to a point of diminishing returns. If you approach that point, it’s probably time to take a break and work on a different element of your marketing. Before you do, don’t forget to pause and congratulate yourself for how far you’ve come. You’re the one to beat here—and as you continue to learn and improve, you’re breaking records all the time. Have any questions about conversion rates? Ask them in the comments.